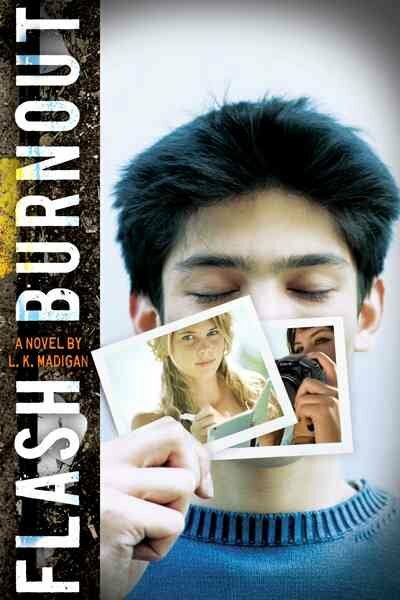 Flash Burnout is a perfect YA book. Well, the story is perfect. I’m not digging the cover so much. And, while the jacket copy was clever, it didn’t give me an accurate sense of the story – the frame of the story, yes, but the heart of the story, no. I may not have read this book if it hadn’t have won the Morris award. This is definitely going into the “I Wish I Wrote This” category. The humor was so exactly my kind of humor, the struggle was so wonderfully relatable. I hugged the book, and talked to Blake-the main character-and laughed with him as if he were present. I really felt like we were in this thing together. It was a wonderful feeling. LK Madigan found ways of describing life and making her characters struggle that made me feel like we had the exact same values. Either we did, or she’s a tremendous writer. Maybe both. I found out while reading this that LK Madigan was suffering from pancreatic cancer. I think it made the book even better. Reading her last blog post where she makes peace with her own mortality, had me weeping well into the night, and touching my own family’s realness a little more than usual. Wow! What a quote considering her illness and death. I read LK Madigan’s blog post and heard about her death too. It’s so sad. It’s nice to see how the writer community has supported her. I definitely want to read one of her books.